Struggling café chain Patisserie Valerie is to close 71 of its branches, administrators announced today (January 23). The Brighton café on East Street is one of the 71 earmarked for closure. 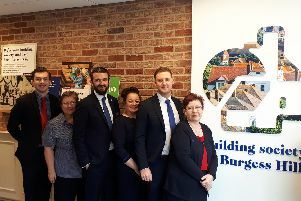 But the other Sussex branches in Hove, Chichester and Eastbourne are among the 122 outlets which will remain open while 'administrators seek a buyer for the business'. Administrator KPMG confirmed the closure of a number of 'loss-making' stores today, including one at East Street, Brighton. David Costley-Wood, partner at KPMG and joint administrator, said: “Since our appointment less than 24 hours ago, we have been pleased with the level of interest we have received in the business, and so remain hopeful of achieving a positive outcome. KPMG said the closures would result in 920 redundancies.